Mother's Day weekend was extra special this year for me because my Dad was visiting from SC. 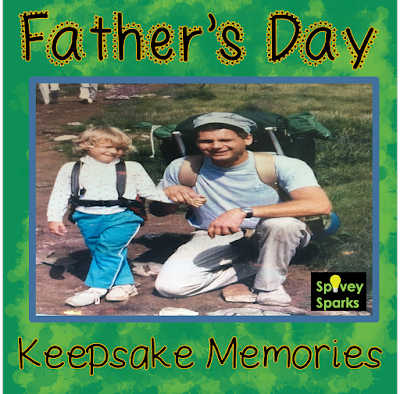 (That's a picture of us when I was 5 and we hiked and camped along part of the Appalachian Trail, in NC) He was here to celebrate me earning my master's degree, and spent extra time playing with his two grandchildren. My 87 year old grandfather from TN was here too. These two men, spent most of Friday building a tree house for my kids. I will cherish this memory forever. It was an absolute gift of love. I'm super excited about how it's going to turn out! I'll pair it with a recent picture of the three generations! Another fun, school friendly activity I've done is creating memory books about dads and male role models. One of my favorite mentor texts, (especially for the beginning of the year), is The Important Book. If you've never read this one, it's WONDERFUL for writing! It has inspired me in many ways. 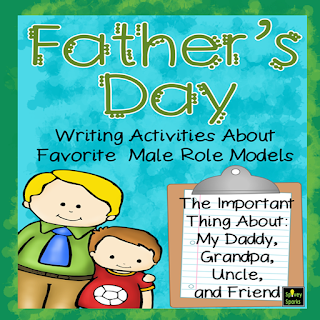 When I taught 4th grade, my students created a mini-book about important male role models. The end results were wonderful. 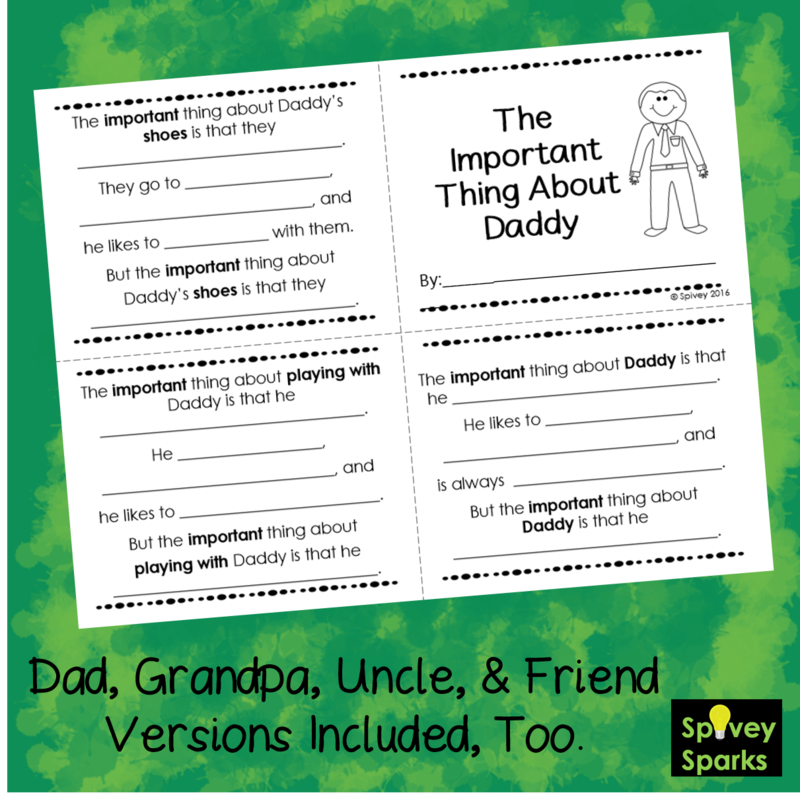 This book can be created without using my template, but if you'd like to check out the full product in my Spivey Sparks store, click here. 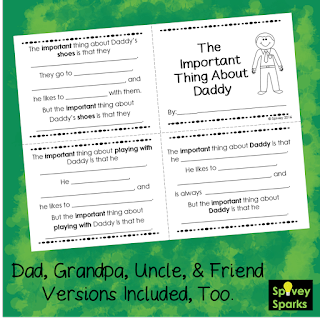 I've also included other Father's Day resources in this set to use with your students! 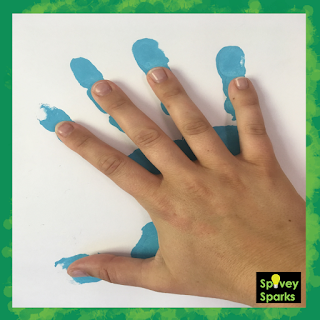 What inspires you to create special gifts with your children or students? I'd love to hear and learn from you!